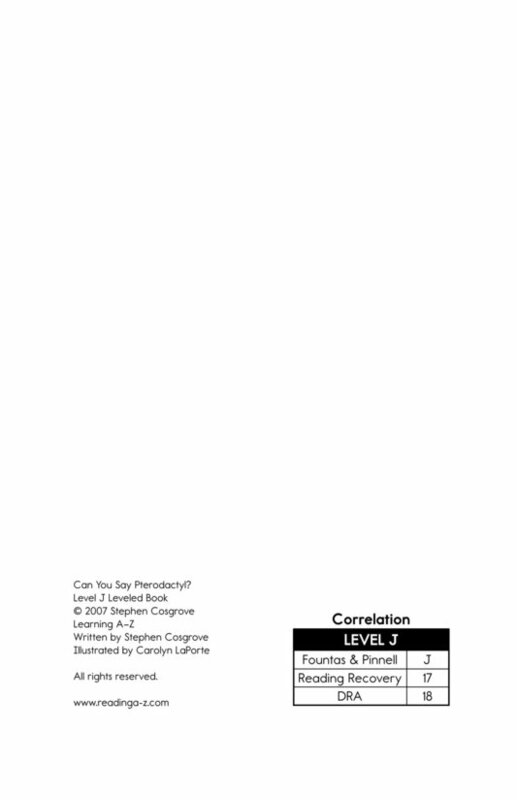 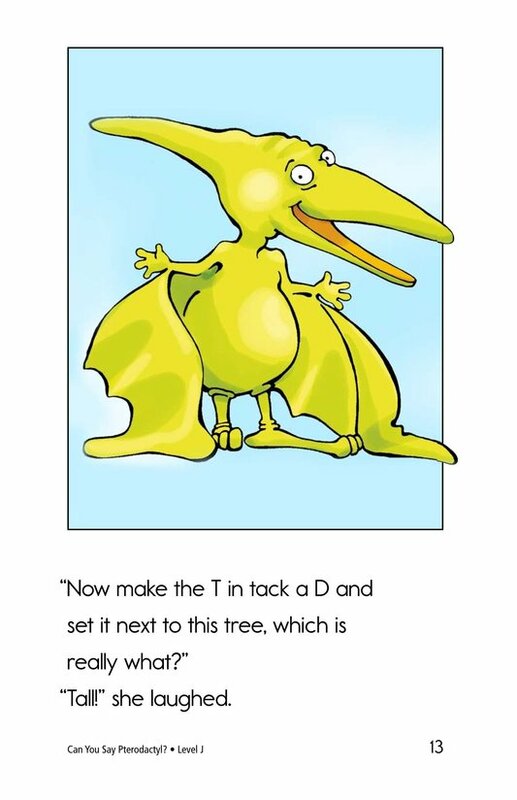 > Books > Leveled Books > Level J > Can You Say Pterodactyl? 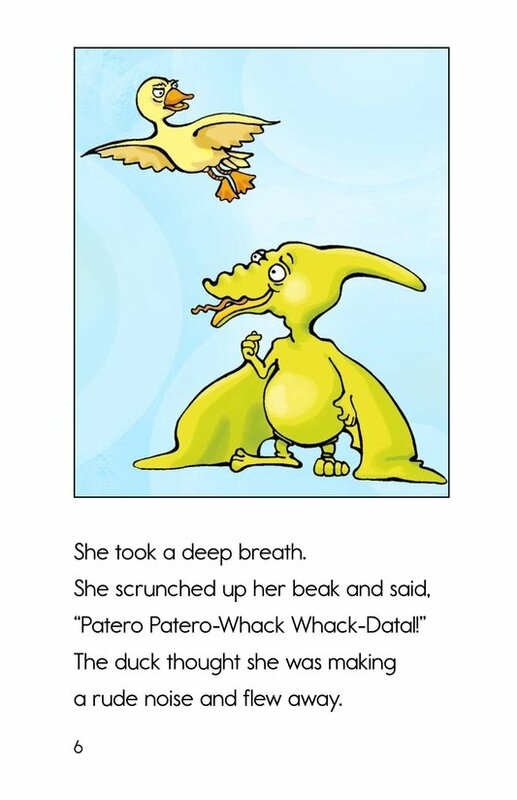 Can You Say Pterodactyl? 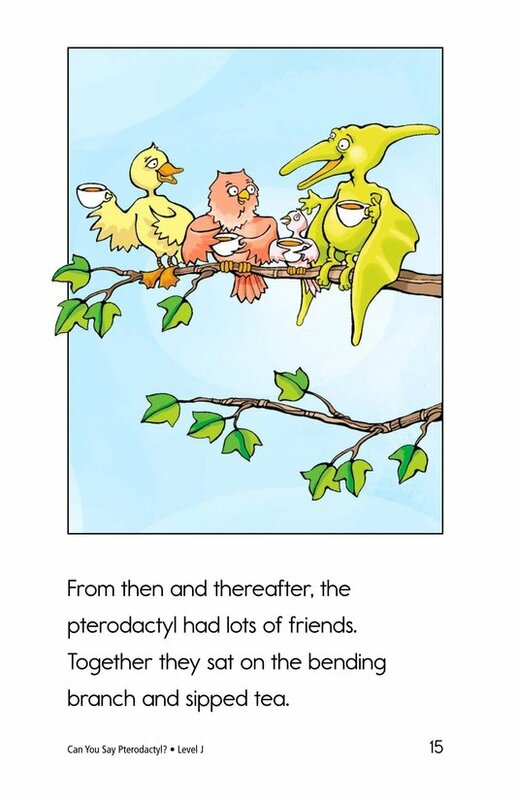 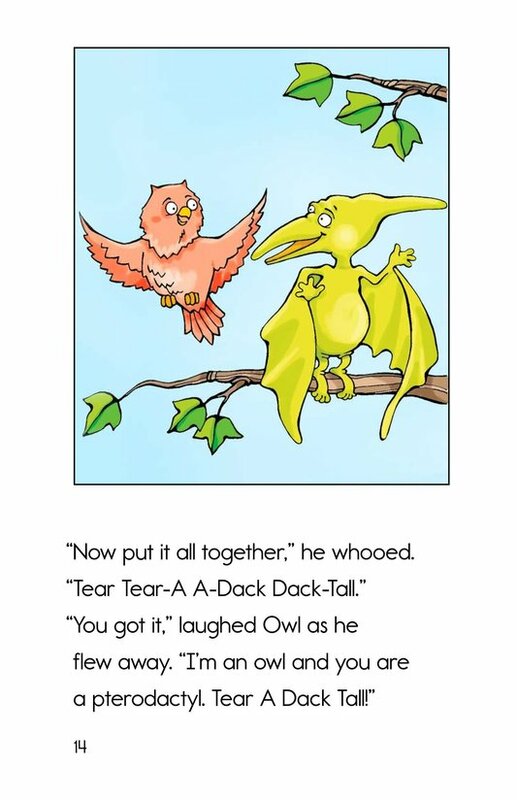 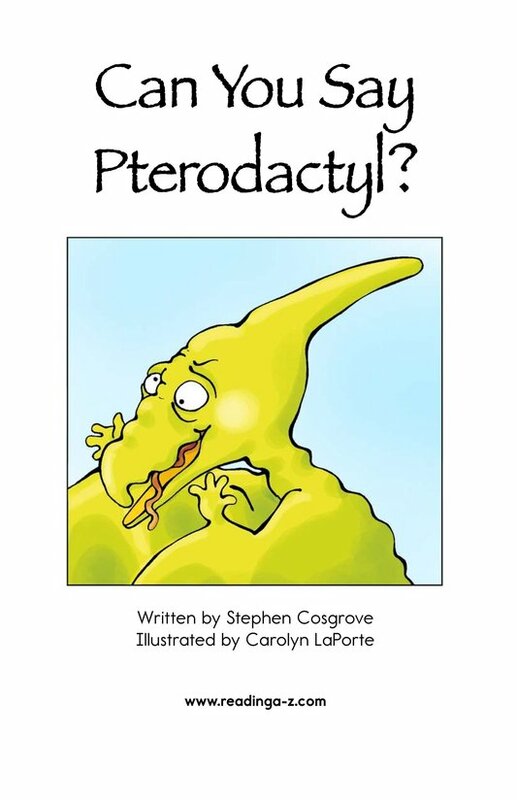 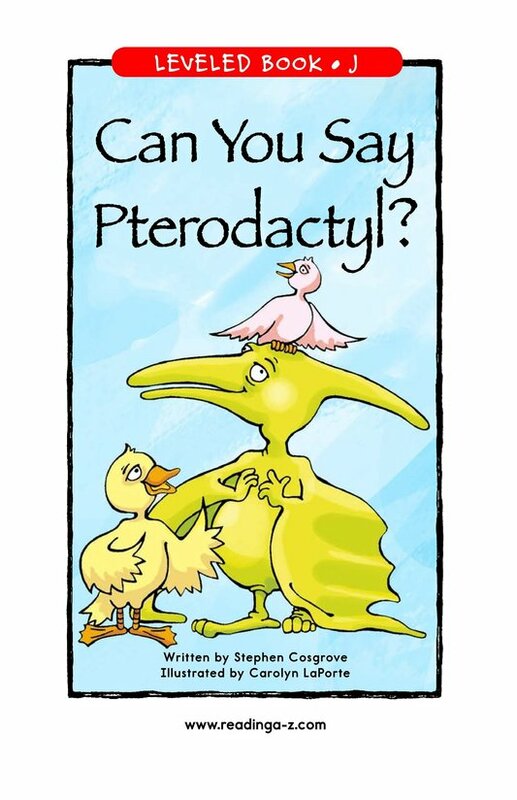 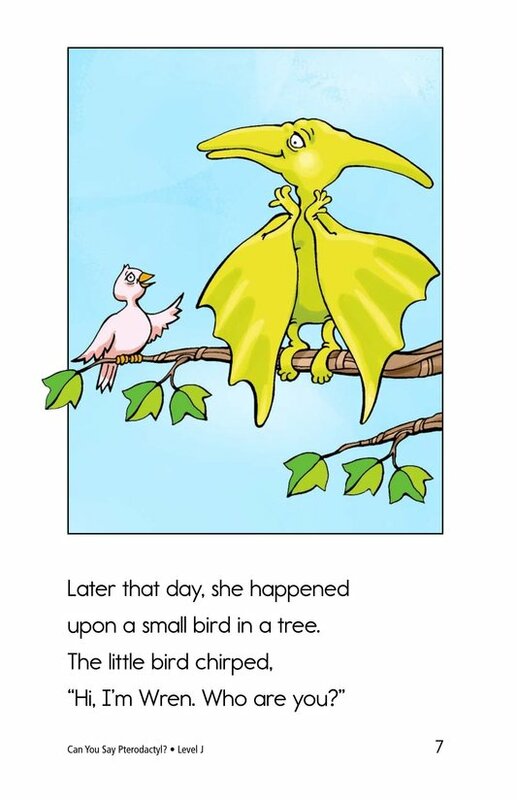 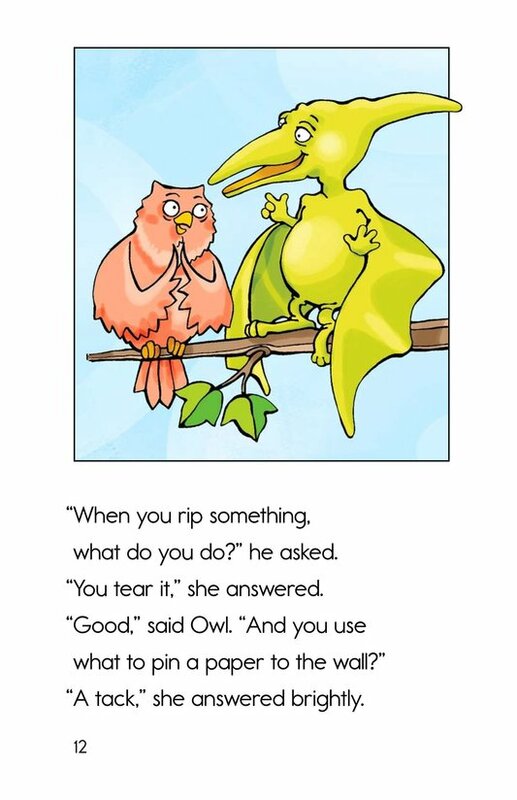 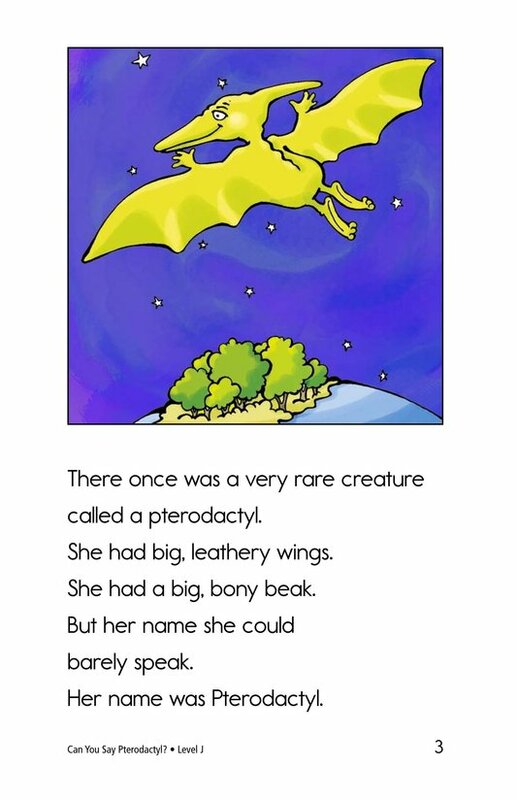 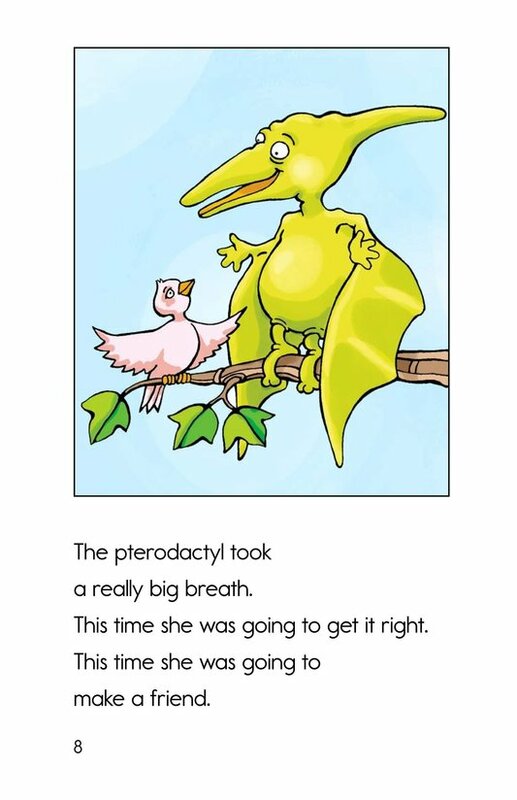 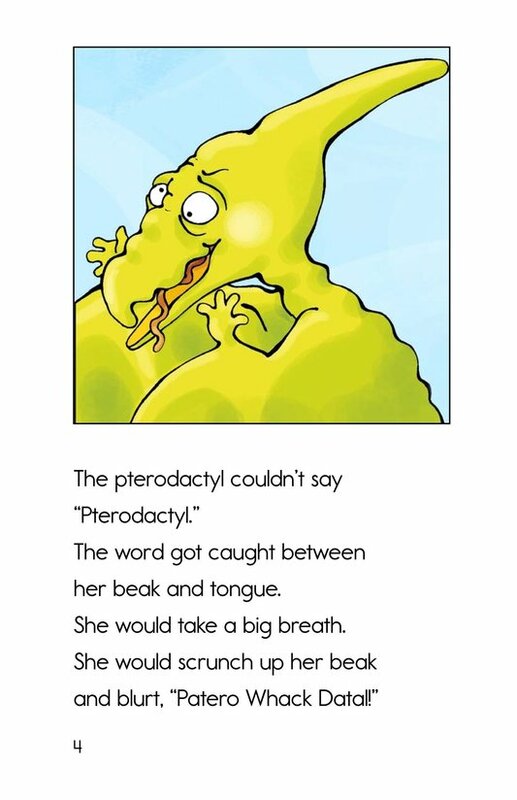 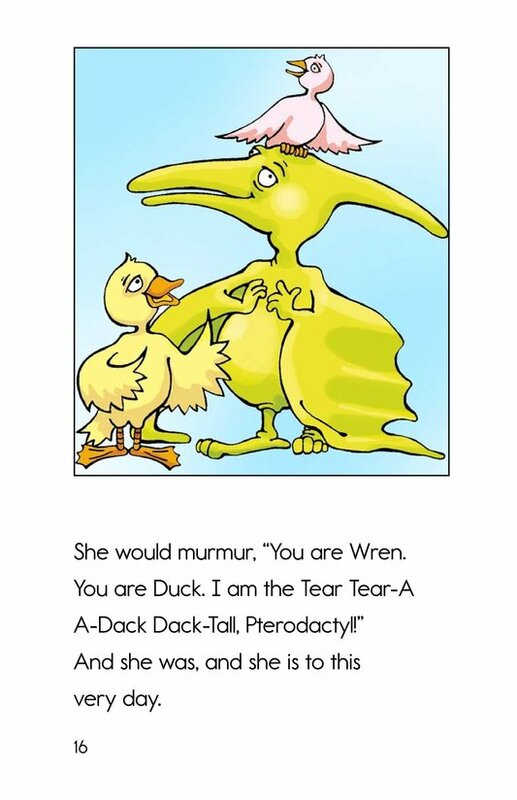 is about a young pterodactyl who cannot say her own name. 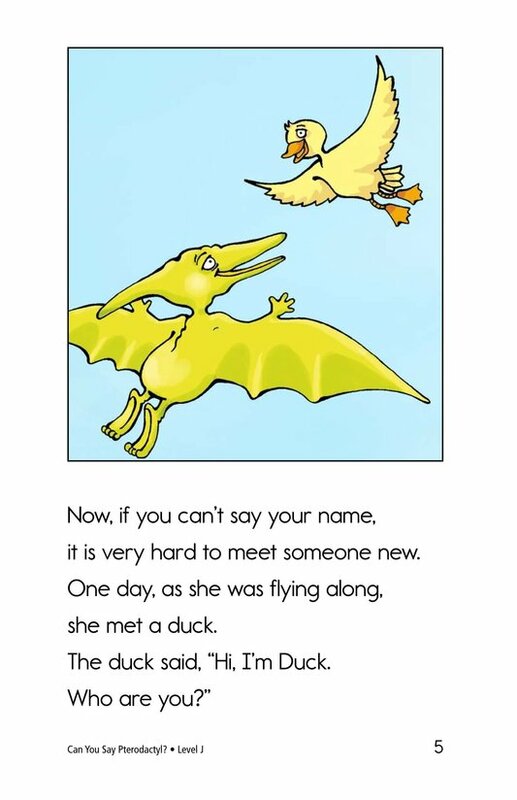 She encounters a duck and a wren that want to meet her and become her friends. 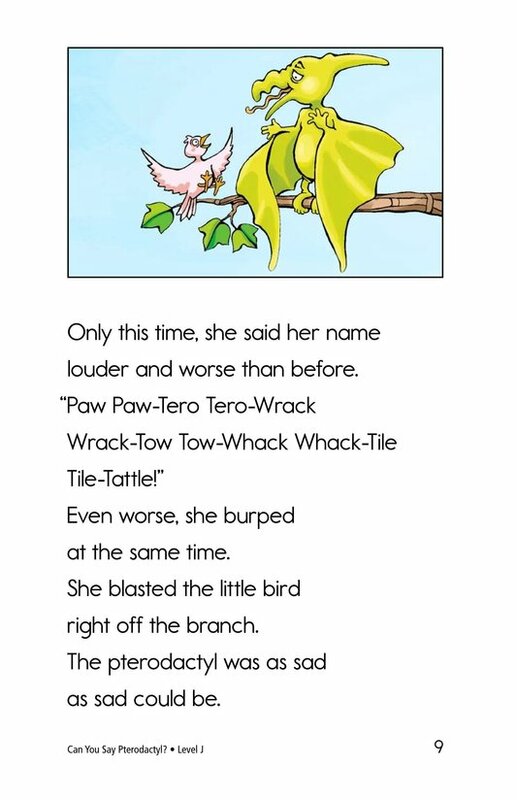 She tries to say her name and scares the animals that she's trying to meet. 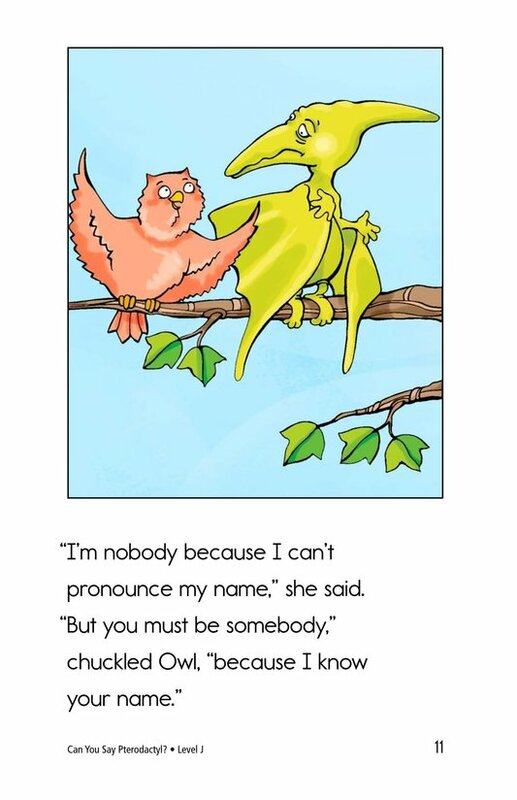 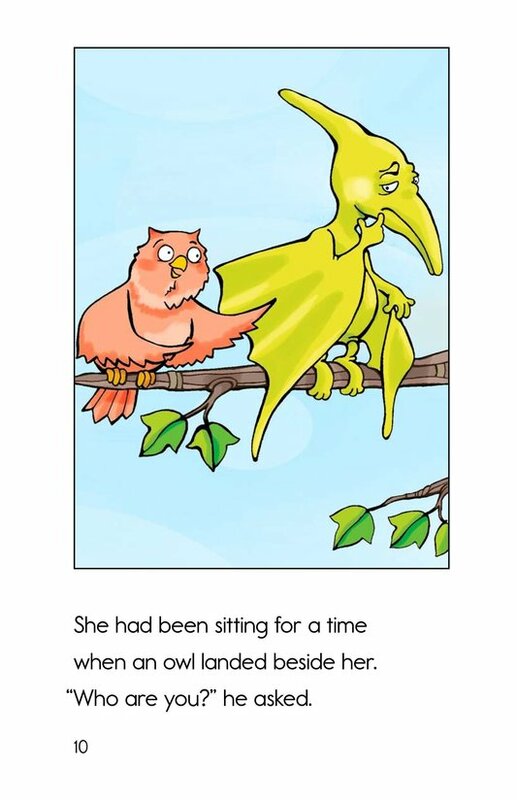 Then an owl helps her learn to pronounce her name, and she successfully introduces herself.